CC cream is the new craze, taking over bb cream in both the western and asian cosmetic world. I am a huge BB cream fan, only wearing foundation during special occasion. And I would never thought I would have gotten CC cream since I have heard of reviews saying CC cream is basically a lesser coverage version of BB cream. I have gotten rid of my address on top of the box for personal safety. 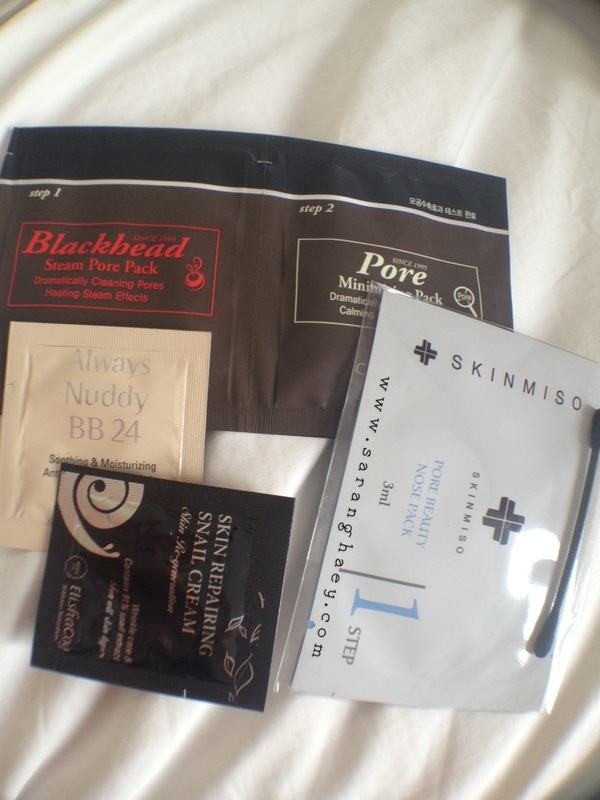 Other samples that are included in the package. Most of them are pore and blackhead care. There is only one make up sample, which is the Bb cream.